This mod adds Brown Ore, which can be smelted into Raw Brown, which can be further smelted into Brown Nuggets. 9 Brown Nuggets can be turned into a Brown Ingot, which can be made into tools and armor. Brown tools & armor both have a lot of durability, and enchantability and mining speeds for tools. 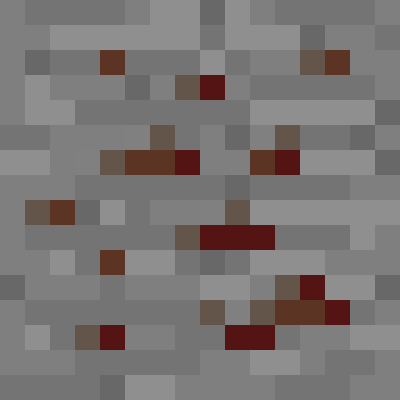 However, the mining level and armor protection are not as good as diamond, making Brown ideal for the more grid-y parts of Minecraft such as digging for more ores or doing things that wear down armor durability without wasting diamond tools and armor. Brown ore is harder to find than diamonds and appears around diamond level. A Diamond Pickaxe is required to mine the ore.
Support for other mods such as Mekanism *might* happen if the mod gets updated and if a can figure it out. First Minecraft mod, so yeah. You can use this in your modpack without asking, just give credit to me.